Thank you for your interest in registering/purchasing/accessing CDLPass! You're making the right choice for getting a great score on your CDL test and learning the material well to be a safe and confident driver. In most cases, you'll get access to the CDLPass system in mere moments after purchase, so you can start studying right away. Our purchase process is secure, fast, and immediate. 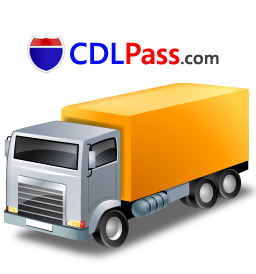 CDLPass is available in several variations. You can succesfully study using just one of these, though some people maximize their study efficiency by getting multiple. No matter what you choose, you get full access to study for all 7 CDL written tests with no expiration date and free lifetime updates. Which CDLPass variation would you like to purchae? CDLPass PC software + MP3 Audio Special Offer for April 2019! Are you sure this is the package you want? Please strongly consider taking advantage of the best value package (CDLPass PC Software + MP3 Audio) now, as you will NOT be able to retroactively upgrade in the future. It's only slightly more expensive, and it comes with free lifetime upgrades!